Real Estate/Assets/Capital – Business: Engaged! Commercial building owners can save thousands of dollars using a lesser-known tax accounting technique called tax segregation. 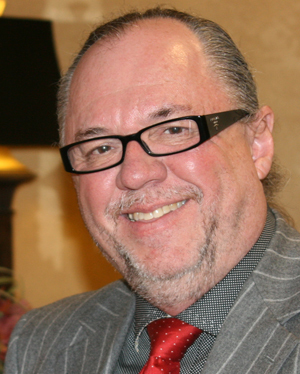 John Ervin CPA of Frost PLLC joins Business: Engaged! host Carrie Perrien Smith. John will explain what cost segregation is. A few months ago, we talked about how building ownership is one way business owners create wealth. Those who buy their buildings can save on their taxes as well. There is a lesser-known tax accounting technique called tax segregation that can save them thousands of dollars more. In this episode of Business: Engaged!, we welcome John Ervin CPA of Frost PLLC. His area of specialty is construction and real estate. He’ll explain what cost segregation is and how much it can save building owners on their taxes. He’ll give some examples and talk about who is most likely to benefit the most. To learn more about Frost PLLC, visit their website at www.frostpllc.com. If you’d like to listen to the episode on how to build wealth with building ownership, click here. In the product and service spotlight, we feature Trident Coaching Systems. They are John Maxwell-certified coaches who work with business professionals. They talk about how their work helps clients go from good to great. And I’m taking you with me on my journey to write my next book. I’ll share my process for writing the book and give you updates on my progress. This week, I talk about choosing your book title. If you want to catch the previous episode where I talked about getting your topics organized using mind-mapping, click here. Episode airs Saturday, June 8 at 8:00 a.m. CST. Are you passing up your best wealth-building tool? Chris Hurn, cofounder and CEO of Mercantile Capital Corporation joins host Carrie Perrien Smith on Business: Engaged! He’ll talk about when and why it makes sense to purchase commercial property. Cash flow is king when it comes to small business financial success. Most business owners perceive they cannot afford to own the building where they operate. Others don’t want to tie up their cash with a big mortgage payment. But with property values and interest rates at historic lows, this might be the wealth-building opportunity of a lifetime. In this episode of Business: Engaged!, we talk with Chris Hurn. He is the co-founder and CEO of Mercantile Capital Corporation, a nationwide, commercial lending firm that specializes in SBA 504 loans for business owners who want to own their commercial property. In his new book, The Entrepreneur’s Secret to Creating Wealth: How the Smartest Business Owners Build Their Fortunes, he reveals how the smartest business owners build their fortunes. Click here to learn more about Mercantile Capital Corporation. Click here to learn more about the book. Click here to visit the Facebook page for the book. 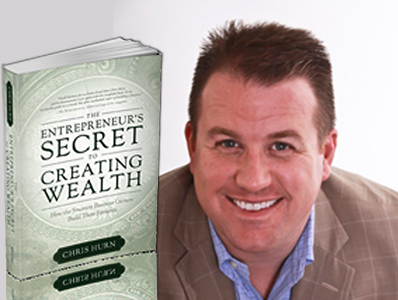 Follow Chris on Twitter at @thechrishurn or on Facebook page at http://www.facebook.com/504experts . And Carrie is going to talk about one of the best ways for your employees to build leadership experience so they can advance. Volunteering can provide an opportunity to build leadership, communication, project management, and teamwork skills, all while helping the community. She’ll give tips for helping employees connect to important opportunities.